SEATTLE – Mike Hopkins is in the early stages of a remodel that won’t be completed soon. It didn’t have to be this way for Hopkins. He could have remained at Syracuse and waited until Jim Boeheim retired and Hopkins was handed the keys to an already finished product. But that’s not what Hopkins ultimately wanted, so his task of rebuilding a downtrodden Washington program begins Friday night when the Huskies host Belmont. He’s no longer the top assistant, the interim head coach or the coach in waiting – all titles he held at Syracuse. Hopkins is fully entrenched at Washington and slowly, methodically turning the program into his own. Hopkins inherited a program that under former coach Lorenzo Romar won conference titles, went to NCAA tournaments and produced NBA talent. But over the final six seasons of Romar’s tenure, the Huskies failed to make the NCAAs and the foundation eroded. The Huskies were 9-22 last season and closed the year on a 13-game losing streak. That’s where Hopkins steps in, trying to rebuild the program with the fundamentals of defense, effort and intensity. They’re words Hopkins’ players are quickly learning and what their new coach expects in games. All Hopkins has known in college basketball is Syracuse, as a player and assistant coach. The traditions. The atmosphere. The experience. A dome full of rabid fans all clad in Orange. It won’t be that way in the opener. Hopkins’ debut is coming opposite Washington’s ninth-ranked football team playing its biggest game of the season at Stanford. The crowd will be sparse and some will be checking the football score. The atmosphere will be tepid. And the opponent – Belmont – may be better than the home team. That doesn’t change what Hopkins expects from his team. 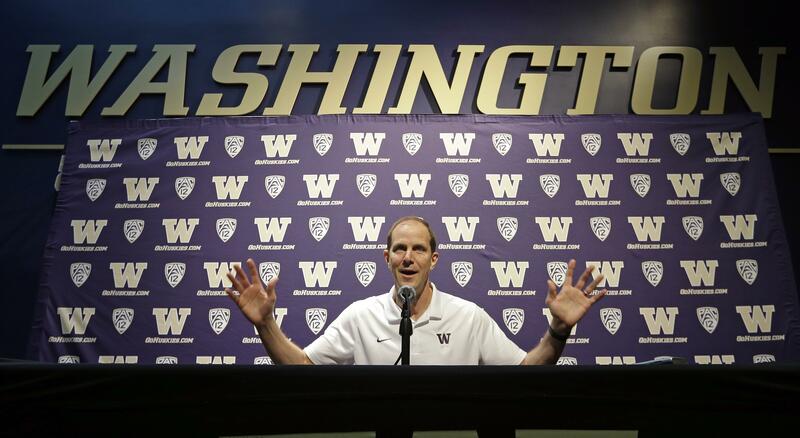 He understands this isn’t a quick turnaround for the Huskies. Even during a more-challenging-than-expected exhibition game last week played before a small smattering of fans, Hopkins got a feel for what he believes Washington can be again. “Walking out and it was kind of like that moment where you’re going, ‘This is incredible, this is everything I dreamt of,’ ” he said. Published: Nov. 9, 2017, 6:10 p.m.